Launched in the early 1990s, Crew Clothing sells luxury casualwear for men, women and children through its 60 retail outlets in the UK, and via its website and mail order. The company had been using batch and blast email marketing tactics but found that it could convert window shoppers to buyers and bring back lapsed customers if more relevant and targeted campaigns were delivered to different segments. This approach would ultimately aim to foster long-term relationships, encourage loyalty and boost sales, said Sebastiano Elia, its online marketing executive. For this, Crew needed an accurate, detailed view of its audience’s shopping patterns, habits and preferences. But the retailer had a complex customer base – such as frequent shoppers, seasonal shoppers and one-time buyers. Then there were those who would shop from their mobile devices. So the retailer wanted a system that would help it to analyse this data quickly and develop a marketing strategy to target individual customers with the right message, on the right device and at the right time. 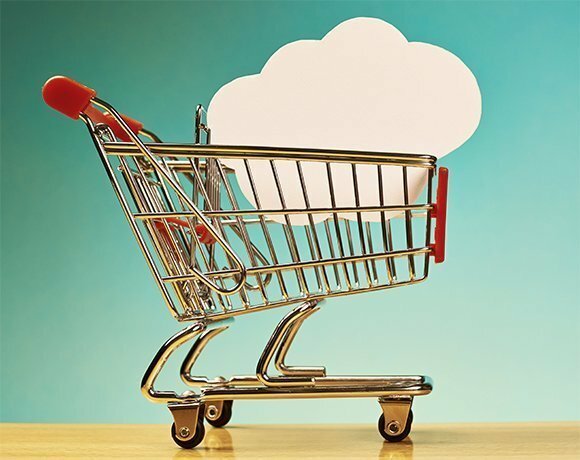 The retailer’s IT and marketing team chose Oracle Marketing Cloud to build a strategy to test all the elements, such as what the user base is interested in, what constitutes an ‘incentive’ for them, what device they use and so on. It also segmented the customer base by purchase history, email and social interactions, as well as site visits, and used the cloud service to further measure active, lapsing and lapsed customers both pre- and post-campaign to ensure its benchmarking is accurate. “This gave us what we needed in order to optimise the emails for each audience segment,” Elia said. Oracle Marketing Cloud, launched in May this year, is a cloud service platform that combines Oracle's acquired BlueKai, Compendium, Eloqua and Responsys marketing technologies with Oracle Social Cloud. The cloud-based marketing service aims to deliver the enterprise capabilities that marketers need to quickly and easily unify customer data, engage its audience and deliver high-performing campaigns. “In order to take advantage of the exciting opportunities presented by big data while also reducing complexity, marketers need a technology platform that unifies their resources and that the IT department trusts,” said Oracle president Mark Hurd, while launching the cloud service. Currently within enterprises, marketers are struggling with complex, siloed and ineffective marketing systems and data, according to Hurd. In addition to getting a holistic and detailed view of its customers’ shopping habits, Crew’s IT and marketing team also used Oracle Cloud to break the campaign down in to “welcome”, “abandonment”, and “win-back” components, which helped them to manage relationships at each stage of the customer journey. “We were blown away by the results,” said Elia. Compared to the impact of traditional email marketing, cloud-based targeted marketing has helped Crew Clothing to increase active users by 20%, reduce the number of lapsed customers from 55% to 30%, and engage more with shoppers. “What’s more, total open rates for all campaigns have risen by 75% compared to standard batch and blast campaigns. That’s a huge change on last year and shows the value of personal, relevant and timely engagement,” Elia said. “Operating in a really competitive market such as retail, this is no mean feat,” Elia said. “Every percentage change has a great impact on revenues. Crew is now targeting customers in a more personal way, which is what our brand is all about. We now have a more detailed view of our audience, and a more active customer base,” he concluded.